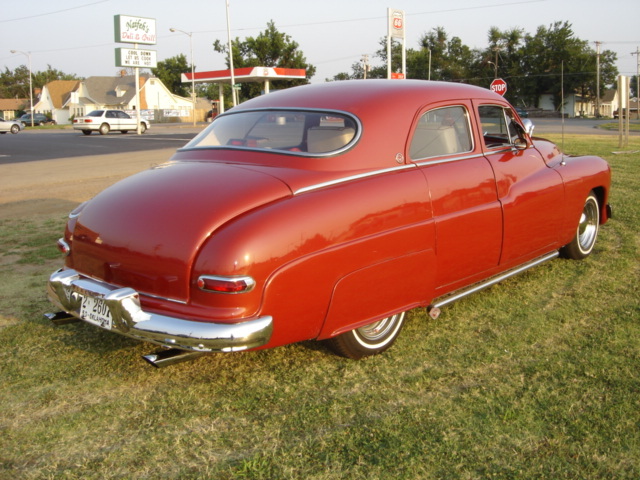 The August Cimarron Starlite Cruiser of the Month is a 1950 Mercury four-door sedan that belongs to Jerry and Kay Akins of Cushing Oklahoma USA. Jerry found the old Mercury for sale in Tulsa while attending a cruise in at Burger Street. That cruise night in 1993 started a four-year restoration project. Jerry and Kay were living in Jenks during that time. 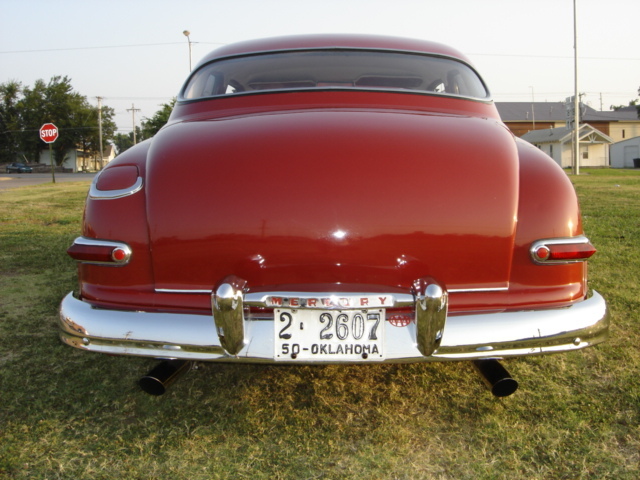 The car was originally from Sallisaw OK. The 50 Mercury’s headlights were frenched and a new Strawberry Red paint was just the beginning of the classic Mercury’s restoration. Fifteen-inch chrome reverse rims were added along with new front spindles. When Jerry bought the car the former owner told him he thought it has a rock in the hubcap. When jacking up the car to check out the front bearing, Jerry says the bearing had gotten so hot it had cut the spindle and it fell off in the yard! 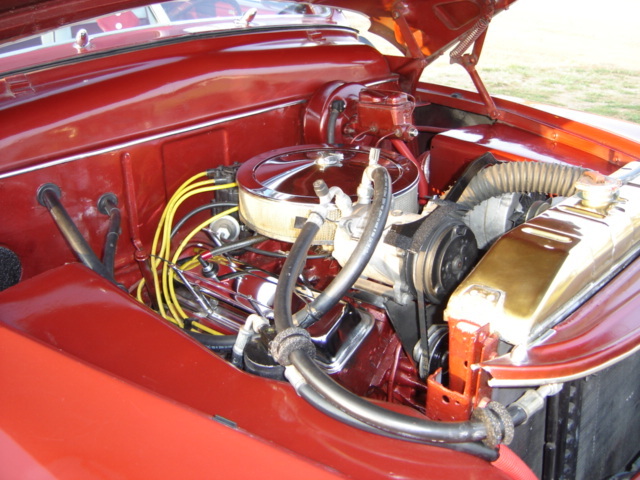 A rebuilt Chevy 350 V8 coupled to a rebuilt Turbo 400R transmission was installed. To finish the drive train, along with the rebuild motor and transmission Jerry added a Ford nine inch 3.0 to 1 ratio rear end to keep the rpms at a nice level for cruising. New power steering, power brakes and of course AC were added to bring the Classic ‘50’ Mercury up to cruising roadworthiness. 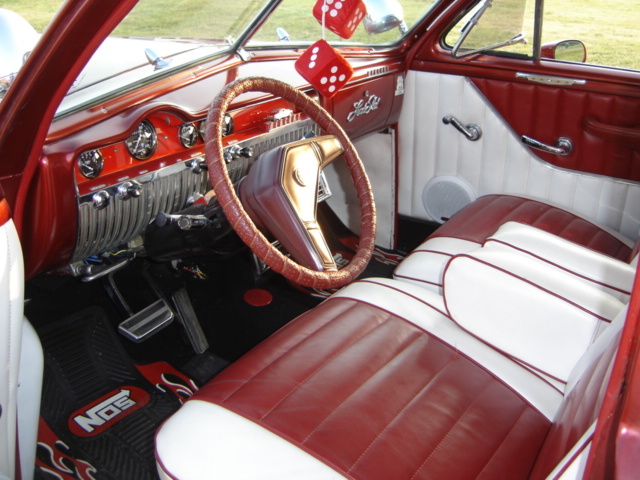 The interior received new red and white tuck n’ roll upholstery. 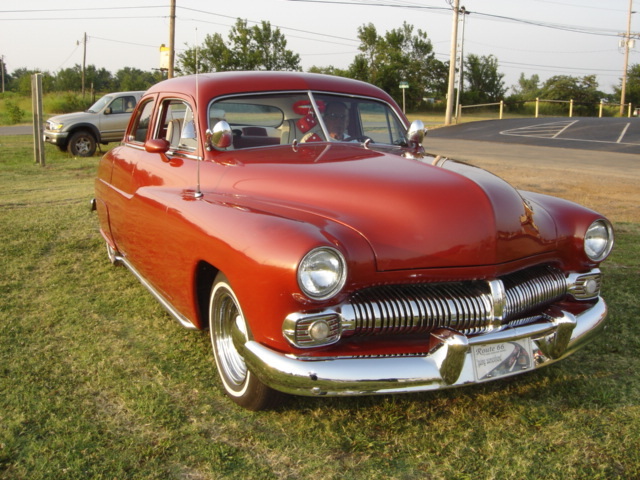 The Mercury also received new electrical wiring for the interior and most of the vehicle. 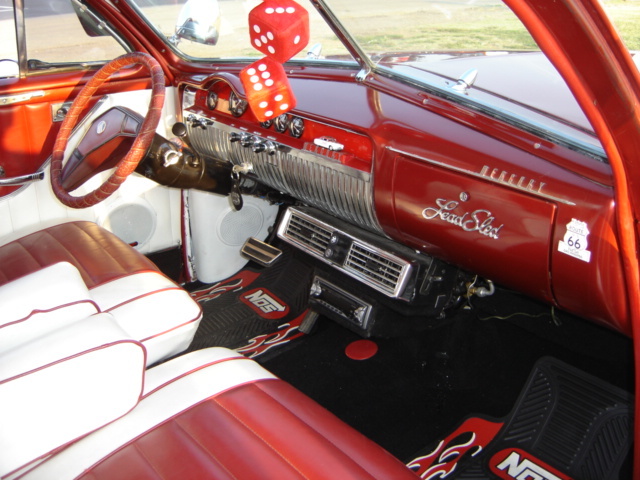 The added custom gages, late model steering column and wheel, plus the renewed chrome dash components make this classic 50 Mercury a serious eye catcher. 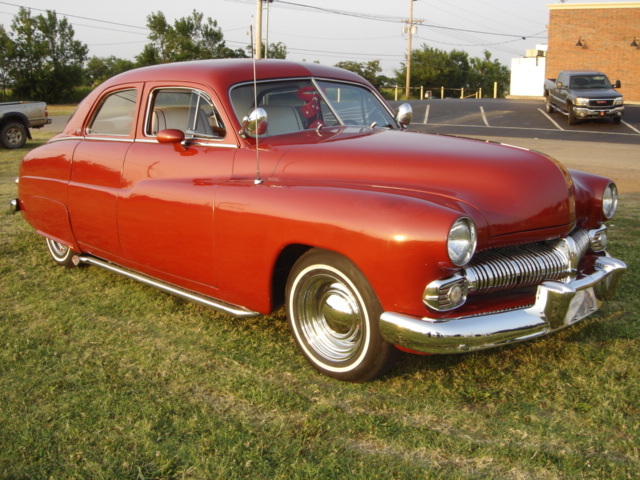 Jerry says that several times during the restoration of the classic Mercury, Kay threatened to put it the Bargain Post! But with its completion they are back to being a happy family again. Jerry says he has always liked the looks of an ol’ Merc and he sure has a nice one! 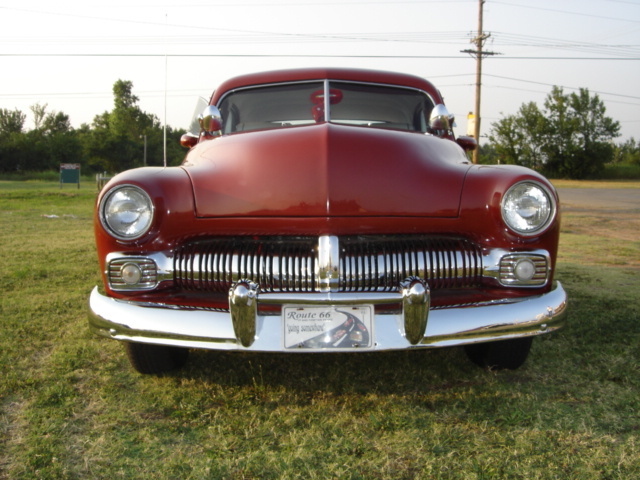 The Cimarron Starlite Cruisers are proud to feature this classic 50 Mercury owned by members Jerry and Kay Akins, as the Cruiser of the Month for August 2008.